In agricultural enterprises the buildup of soil salinity from repeated irrigations can sometimes reduce crop yields. 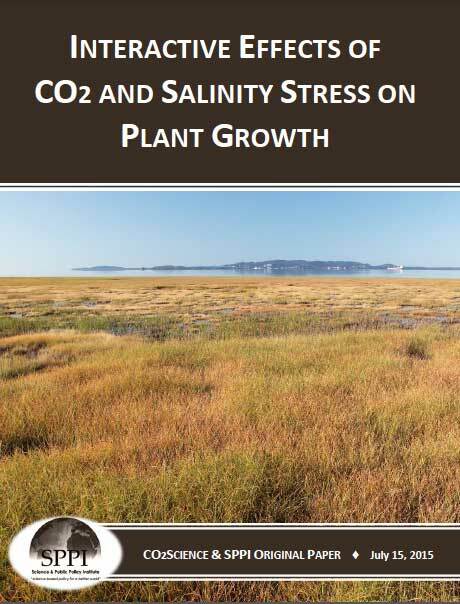 Similarly, in unmanaged ecosystems where exposure to brackish or salty water is commonplace, saline soils can induce growth stresses in plants that are not naturally adapted to coping with this problem. Consequently, it is important to understand how rising atmospheric CO2 concentrations may interact with soil salinity to affect plant growth; and in the paragraphs that follow, we summarize the results of a number of experiments that were designed to obtain knowledge pertinent to this endeavor.